You need a great criminal appellate lawyer who can help you overturn your conviction, vacate your plea or file your motion for post-conviction relief. Attorney Jason T. Forman, a former prosecutor, has over 21 years of experience in criminal law and criminal appeals. He handles criminal appeals throughout the entire State of Florida! Read the glowing reviews from some of our former clients! Mr. Forman is the attorney that you need to put you in the best position to win. Some of the convictions that he successfully reversed on appeal include convictions for Murder, Sexual Battery, Grand Theft, Burglary, Aggravated Battery. He has personally handled hundreds of combined criminal appeals, petitions and post-conviction motions all over the State of Florida. Mr. Forman handles all State and Federal criminal appeals, including post-conviction motions and Federal Habeas Petitions under 2254 and 2255. His practice is composed of 95% criminal appeals and post-conviction matters! Because Mr. Forman also has vast experience representing clients with pending criminal cases, he will sometimes handle pending criminal cases on a select basis, especially after having been granted a new trial. By having his “ear to the ground”, this helps Mr. Forman keep informed of the nuances that can only be learned by actually being in court. Unlike other criminal appellate lawyers, Mr. Forman’s ability to handle a criminal trial and engage in extensive pre-trial motion litigation enhances his appellate skills. This dual ability makes Mr. Forman unique and unlike most other criminal appellate lawyers who have never actually tried a criminal case. Jason T. Forman, a former prosecutor with over 21 years experience, handles criminal appeals throughout the entire State of Florida! Don’t be fooled by criminal defense attorneys who think that they are capable of handling a criminal appeal, yet are unable to find the less obvious or hidden issues required in order to achieve success. You need the best criminal appeals lawyer you can find. Without a doubt, some criminal appeal lawyers are simply better than others! You need a lawyer who will give you the best chance of finding that needle in a haystack. That is why Mr. Forman, with over 21 years of experience, only handles appeals in the State of Florida. His practice focuses almost exclusively on criminal appeals and post-conviction relief motions. In fact, he is the lawyer that criminal defense lawyers call when they have a question! See how an experienced lawyer can make the difference between winning and losing! Mr. Forman has personally handled hundreds of combined criminal appeals, petitions and post-conviction motions. It is rare to find another criminal appellate attorney with this type of real appellate experience and personal service. Critically, he personally handles all of his own appellate work. After all, it is his skill and experience that you are relying on to get the job done. Mr. Forman will never simply sign an appeal that someone else wrote. He has personally handled all types of criminal appeals, such as murder, sexual battery, DUI manslaughter and numerous other crimes. Mr. Forman is also well versed in the controversial Stand Your Ground (self-defense) law and has successfully overturned convictions due to erroneous self-defense jury instructions. Attorney Jason T. Forman understands what it takes to win. He has the experience and reputation to get you the best possible result – as illustrated by his victory before the Florida Supreme Court which changed the law in Florida regarding juveniles seeking bond for offenses punishable by life in prison. Perhaps you saw his appellate decision which sent shockwaves throughout the State of Florida, finding the dreaded red light camera program unlawful and partially shutting down red light camera programs statewide! Over 25,000 tickets were dismissed in Broward County alone based upon this decision. Thousands of others were also dismissed statewide, resulting in numerous class action lawsuits. Hire the lawyer that other criminal defense lawyers call when they have a question! Learning how to successfully handle a criminal appeal takes years of practice and experience. Mr. Forman has been personally handling criminal appeals since 1997. First, a criminal appellate lawyer must know how to effectively communicate his argument to the court. Indeed, learning the art of drafting a brief so that the three judges will find the argument persuasive is critical. Mr. Forman is dismayed by the poorly written briefs that are being submitted on behalf of unsuspecting clients who are in need of assistance. However, the most important skill that an appeals lawyer must master is the art of identifying the issues. Without a doubt, appellate attorneys who do not have the experience, yet take on the important task of handling an appeal, lack this particular skill. An experienced and skilled criminal appellate attorney will be able to find those issues that were overlooked by the trial lawyers and even the judge. Some lawyers simply “don’t know what they don’t know.” That is why Mr. Forman personally conducts a thorough “audit” of each case. Call us today at 855-384-7625 and see how Mr. Forman can help you. Success breeds success. Mr. Forman has earned the reputation as one of the best criminal appellate lawyers in the State of Florida. An example of his ability to find unnoticed errors was shown when he was able to successfully overturn a 30 year prison sentence simply because the judge used the word “and” instead of the word “or” in the jury instructions at trial. Neither the trial lawyers, nor the judge, recognized that this error was made. Obviously, this particular skill only comes from vast experience and extensive knowledge of criminal law. Another example of this took place in Duval County when Mr. Forman was able to overturn a second degree murder conviction because he realized that the client was essentially convicted of a non-existent form of murder. Neither the judge, the prosecutor, nor defense counsel realized this critical error. Mr. Forman discovered the grave mistake, raised it on direct appeal as a claim of fundamental error, and the murder conviction was reversed. His client’s sentence was reduced by 17 years and he is now out of prison! Unlike inexperienced lawyers who simply rely upon the trial lawyer to determine the errors which took place at trial, Mr. Forman conducts his own independent audit to find these hidden gems! Mr. Forman has even found errors that other experienced appellate lawyers missed on appeal. Call 855-384-7625 now to speak to Mr. Forman and learn what he can do for you. As you can see, not all criminal appellate lawyers are the same. The lawyer you choose can drastically effect the outcome of an appeal. Often, it is the difference between winning and losing. For example, Mr. Forman sometimes gets hired after an Anders brief is filed by court appointed appellate counsel. An Anders brief is filed by the appointed lawyer which informs the appellate court that the lawyer has reviewed the appellate record, but found no errors on appeal. On several occasions, Mr. Forman was hired and actually won on appeal even though the appointed lawyer claimed that there were no errors in the record. Hiring the right criminal appeals lawyer is critical. Any competent lawyer can file an appeal of a simple issue, but filing the winning appeal is a mastered skill. This critical skill is gained only through experience and knowledge. Identifying the right issues – including the hidden issues – are the key to success in criminal appellate litigation. 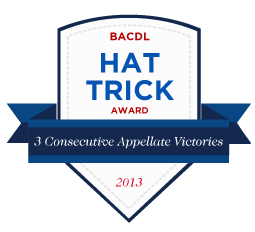 Just like professional football players, not all criminal appeals lawyers are the same. Call 855-384-7625 now to speak to Mr. Forman and find out why he is one of the most respected and experienced criminal appeals attorney in Florida. Although we are located in South Florida, our firm handles appeals throughout the entire State of Florida! Mr. Forman will personally handle your appeal and will never hire an “of counsel” lawyer – a lawyer who works as an independent contractor – to do the work. You probably already had a bad experience with your first or second lawyer. Mr. Forman knows that it is hard to gain the trust of another lawyer after already being burned. Why risk your future again. Call Jason T. Forman at 855-384-7625 and see for yourself how your sentence, conviction or your 3.850 motion can be appealed. (G) as otherwise provided by general law. The last subsection is a catch-all which allows a defendant to appeal numerous other matters not expressly listed. An appeal filed by a defendant must be filed within 30 days. The State must file an appeal within 15 days. e. as otherwise provided by law. This list can be somewhat tricky because it makes it appear as if there are only a few instances when a defendant can file a criminal appeal. This is not true. These set forth the general parameters of a criminal appeal taken by a defendant, but it actually covers almost every instance that a defendant can encounter. Can I get a bond while I wait for my appeal? This is the first question that comes to mind after a person is sentenced. The simple answer is sometimes. When a person is arrested, Article I, Sec. 14 of the Florida Constitution guarantees the right to released on bail unless charged with a capital offense or an offense punishable by life imprisonment where the proof of guilt is evident or the presumption is great.However, after being convicted, the Florida Constitution does not give a defendant the right to be released while an appeal is pending. Instead, it is discretionary, subject to certain requirements that must be met. Florida Rule of Criminal Procedure 3.691 is the rule that governs post-trial bond or supersedeas bond. A supersedeas or appeals bond is not available if the defendant has a prior felony conviction and his civil rights have not been restored. The good news is that a prior withholding of adjudication does not prohibit the issuance of a post-trial bond. Nor does a prior felony conviction that was obtained while the defendant had no lawyer. Only a counseled adjudication will prohibit a supersedeas bond. A defendant who has a pending felony while seeking an appeal bond will also not be granted post trial bond. However, not all offenses are eligible for a bond while the appeal is pending. Although rule 3.691 only prohibits bail for capital offenses, Florida Statute 903.133 expressly prohibits post-trial bail for second degree murder, kidnapping, first degree felony arson, first degree felony delivery, sale or manufacture of drugs, drug trafficking, as well as sexual battery. All other offenses are eligible for a bond after trial. In order to avoid an appeal by a defendant that is filed simply so that he can be released from jail, Fla. R. Crim. P. 3.691 requires that the defendant establish that “the appeal is taken in good faith, on grounds fairly debatable, and not frivolous.” This is a relatively low standard which merely requires that the issue involved be fairly debatable. It does not require a defendant to establish that he will win on appeal. Once this is shown, the court will apply the standards set forth in Younghans v. State, 90 So. 2d 308 (Fla. 1956). The court will look to the severity of the sentence, the ties the defendant has to the community, the defendant’s habit of showing respect for the law, and other relevant factors. If the defendant’s motion for supersedeas bond is denied by the trial court, it can be appealed to the appellate court without waiting for the appeal of the trial to be concluded. Florida Rule of Appellate Procedure 9.140(h)(4) allows an appellant to challenge the denial of post trial bail by filing a motion in the appellate court. If the trial court does grant post trial bail, or if the appellate court requires a bond, then the defendant is required to file a notice of appeal prior to the actual release of the defendant. Some judges wrongfully require a defendant to file his notice of appeal prior to hearing a motion for post trial appellate bond. However, Florida Rule of Appellate Procedure 9.140(h)(1) expressly allows the trial court to hear the motion for post trial bond before the notice of appeal is filed. Although release is only allowed upon the filing of the notice of appeal, the motion can be heard anytime. If the State is the party who is filing the appeal, the court, in its discretion, may grant bail, regarding of the circumstances. In fact, rule 9.140(h)(2) requires that the defendant be released on the defendant’s own recognizance, unless the trial court finds good cause not to do so in a written order. Hiring an experienced Florida Criminal Appellate Attorney will provide you with the best opportunity to overturn an unjust conviction and sentence. When Mr. Forman handles an appeal, he does not limit his focus to simply the task at hand. Instead, he explores all options and legal remedies that may be available at a future time, including a 3.850 motion or even federal relief. Only an experienced criminal appellate attorney will know how to handle the criminal appeal without waiving any future remedies that may exist. If you or a loved one need an experienced Florida Criminal Appellate Attorney to handle your appeal, motion for post-conviction relief, or if you are simply trying to reduce a lengthy prison sentence or withdraw a plea, call now to schedule an appointment. These matters take time to process through the court system. Call 855-384-7625 now to get started right away.